​Our asphalt paving company is well known in Mobile and Baldwin counties of Alabama for our driveway & parking lot quality of work. You found this website because you are looking to have a surface paved, or repaved and we are so happy you came to us! We have great understanding and experience in the world of pavement maintenance and want to show you how amazing our team is and how stunning the work they do is. ​We know paving or sealcoating is a financial decision but our promise to you is that we are the most affordable and most trusted team around! ​If you are in the Mobile or Baldwin Alabama area and need your driveway paved or resurfaced, our company is ready to serve all of your needs. We are the contractors you need, to repave that parking lot. Perhaps you need a longer private road installed with hot asphalt. ​Whatever your driving-surface needs are, we have got it covered. Literally! 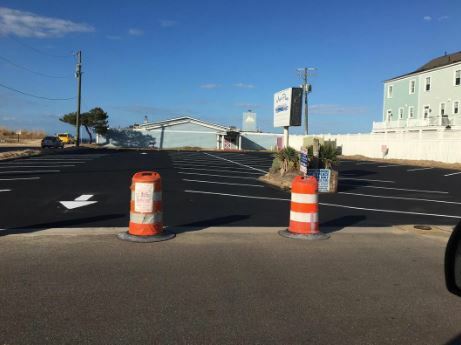 ​If you are one of the many new up and coming businesses in the great Mobile-Baldwin area contact us today for the best rates you will find anywhere in Alabama for new-parking-lot-paving. We will match any competitor’s price! Not only that but when you bring us on with your new-build-business we will give you a free estimate at our first meeting. ​Perhaps you are building on a lot, in the counties of Mobile or Baldwin, that already has an asphalt driveway done, but it has seen better days. We have good news, you do not have to pay to have you pavement tore up, removed and resurfaced! We provide an array of services to get your business paving looking brand new and saving you money in the process! 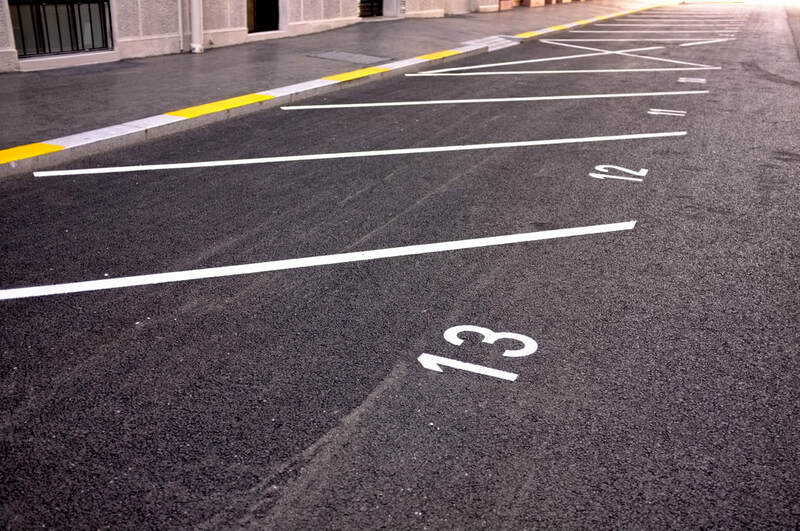 First impressions are important and when your customers pull into your newly paved parking lot they will not have complaints because we will have it in tip top shape. 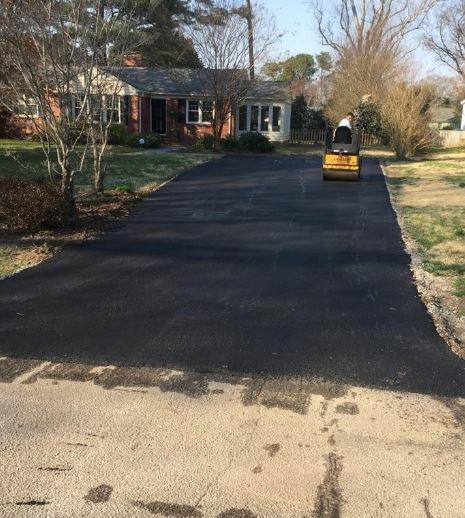 Plus, we also offer extended-preservation packages on all our sealcoating & blacktop paving services to insure your driveway stays smooth for years to come! Contact our company today to find out more about all these amazing services! ​So, you have some pavement and some of it is rough, but some of it is just fine. You do not see the need in calling in a service company like ours till in all needs to be fixed, right? Wrong!! We could tell you horrible stories of people who were waiting to update their pavement and wished they hadn’t. We once got a call from a company that was being sued by a patron of their business because of a crack in their pavement that caused them to fall and break their arm. They suddenly saw the value of the up keep of their parking lot. We would love to come to your location and give you a free estimate of how we can repair your existing pavement to save you money now, and down the line from having to replace the whole lot! We know how to take care of all your asphalt needs! Let us tell you about what we can do to pave your private property! ​If you own a home, you most likely have a driveway. Unless your home is brand new, your drive-way may be in need of a few repairs or a little more than a few repairs. We offer free estimates to our residential customers too. Call us to schedule for time that fist best for you to have us check out your driveway. We can discuss all our options starting with repair, or moving up to re-sealing it, all the way up to completely repaving it. We will help you choose what is most cost effective! ​Imagine for a moment your own personal outdoor walking path. If you have the space and land for it, we have the tools to get it laid down for you! Studies show that employees that move their body throughout the day are more productive despite taking these ‘walking’ breaks. Imagine if your company could be more productive because of a walking path! If you have the space at your personal property, we can put a walking path in there for you two. Several people are now installing walking paths as a huge part of their backyard space. Isn't it a great idea?! ​Do you own a property with a long private driveway? Maybe the idea of paving it is painful, so you keep driving on what eve was there when you moved onto the property. We promise it will not be as expensive as you are imagining. The hardest part for you will be making the phone call to us. After that you will be in trusted hands making sure everything is taken care of properly! You will be completely satisfied with the work our company will do for you. We want to help make those last few moments of your drive time home as smooth and relaxing as can be. Call us today for your free first appointment! ​Preservation and restoration? How in the world is a pavement company going to offer preservation and restoration services? This is how! If you own a historic site here in the great area of Mobile Alabama or surrounding towns, we would never expect you to ruin the look of your little slice of history with a black asphalt drive way or parking lot! We wouldn’t dream of it! We have gone to great lengths to study proper ways to restore and preserve your historic-drive ways so as not to make eye sores taking away from the beauty of your property. We will take care of your restoration and preservation with great care and dignity. We stand by you; you can count on it! ​If you are a business that needs a professional grade surface laid down for your business purposes you want it to be even and, well, perfect. We understand. We take the time to make sure it is done right. Whether you are looking to set up a race track, or a landing strip for private air craft we are the team you have been looking for. Affordable. Diligent. Professional. All these words can be used to describe us. ​Seal-Coating is an affordable option for putting a face lift on your current outdated driveway or parking lot. We offer absolutely best of the best when it comes to seal-coating options. With great products and an amazing staff, you will be happy with your chose us to seal-coat your parking lot or driveway! Our staff are unbelievable! You will never meet a more efficient friendly team then the ladies and gents we have working on our team. Anytime you are dealing with a person from our staff we want you to feel you were treated with the utmost respect and consideration. We take our job very serious and want it to shine through our staff! ​If you have any more questions or are ready to book your first appointment please call the number listed below! Or e-mail us if that works better for you. We look forward to hearing from you soon. 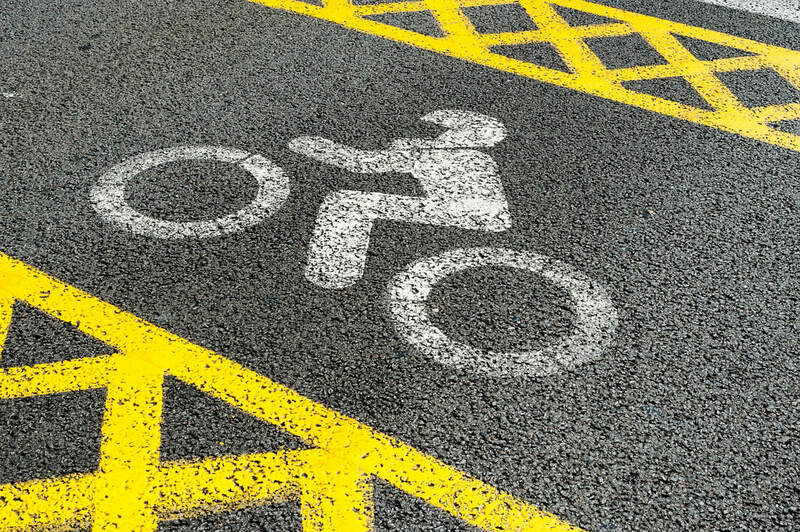 ﻿In order for your brand new asphalt to last, it need some preventative maintenance and we want to share a couple of our personal tips regarding just that. First and most important thing to note is the necessity for a periodic inspection and evaluation which is just a fancy way of saying, look over your parking lot every once in a while. What are you looking for? Anything that stands out like cracking, discoloration and whitening is a sign of weakness and should not be taken lightly. Another big tips from a maintenance standpoint is the need to sealcoat your driveway & parking lot regularly. Blacktop does lose it's shine and durability over time, due to the effects of sun rays, changes in temperature during winter and summer months and regular usage, therefore, sealcoating is an absolute necessity for anyone who values their investment into a paved parking lot. How often you might ask? We recommend a complete re-sealcoating once every one to two years depending on traffic and heavy vehicle parking. 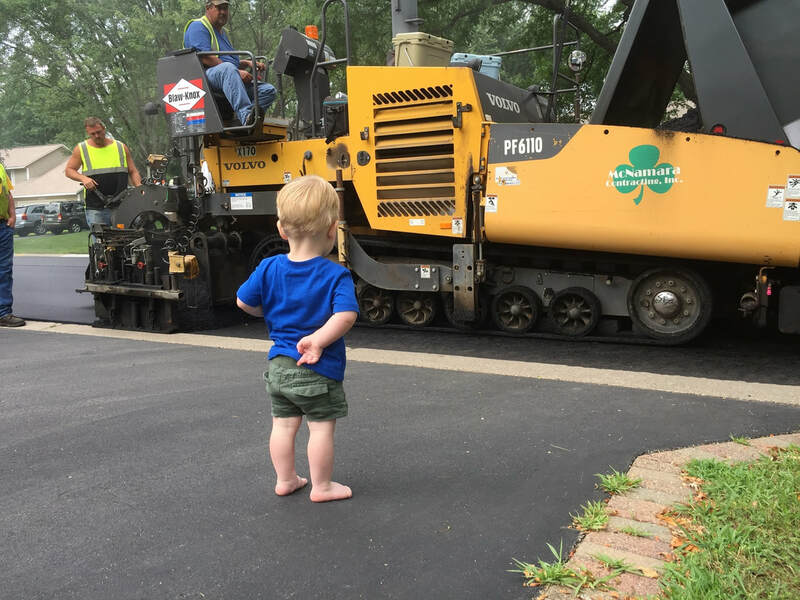 This one is only for freshly paved surfaces… Please, do not let anyone or anything get on top of your driveway or parking lot for the first 24 to 36 hours due to the cure time it needs to properly settle and last the longest. Be sure to place cones in front of all entrances with a rope tied around them and sign saying that entrance is not permitted during asphalt's cure time. Cracks that require sealing can be identified by their length, width and depth. Not to say that you should be walking around with a ruler all day measuring cracks in your parking lot, you want to be able to tell if it looks dangerous and needs some attention. Blacktop cracking starts off small and can grow into a huge deal, so please, be attentive. How do I tell if the crack is worth worrying about? Our rule thumb is if you can't stick a pen through it, it isn't wide enough to worry about quite yet, just please make sure not to force the pen all the way in. Anything wider than that and you have yourself a reason to worry. Give us or any other asphalt contractors a call and ask them for a free estimate on the cost of crack sealing, and the same goes for potholes and repairing those… Get that estimate. Prior to doing any resurfacing work, be sure to properly inspect, identify and repair all current issues like cracks, potholes and indentations. It is crucial to do so, to prevent problem in the future. 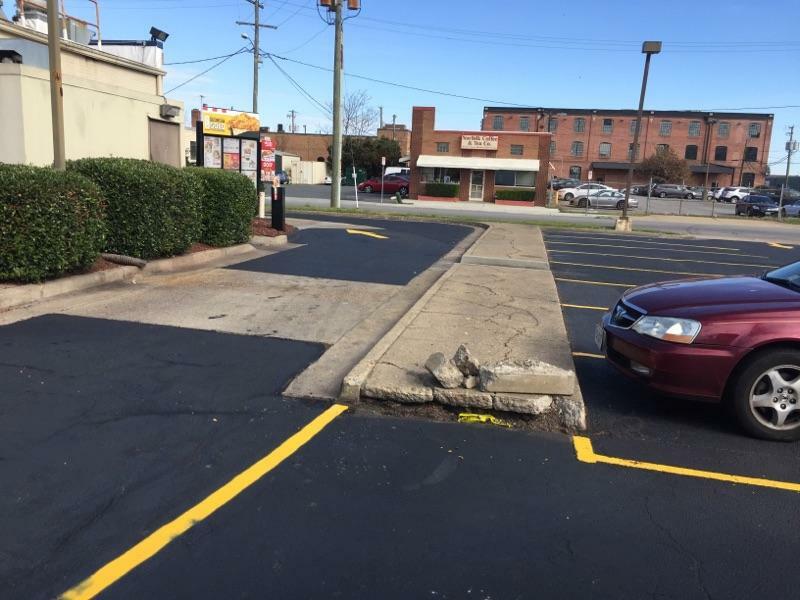 Most of our clients who get their parking lots repaved and sealcoated often, are small and medium sized business owners here in Mobile and Daphne. They all know about the ADA and their strict regulations regarding handicapped parking spaces sand van accessible ones. Be sure to check those out and comply when planning out your paving project. 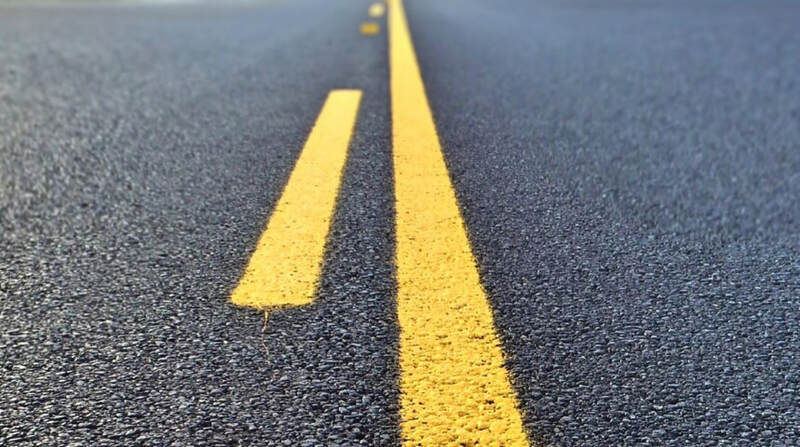 We hope that you find those tips useful and apply them when maintaining your asphalt pavement.